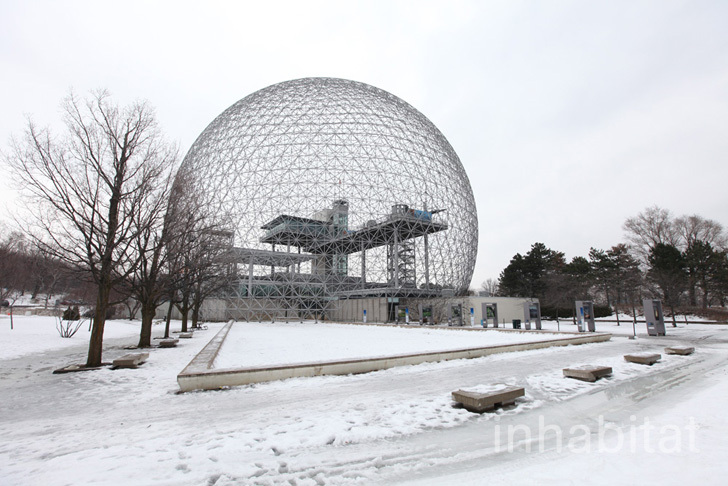 Looking much like the Epcot Center in Disney World, Montreal’s <a href="http://www.ec.gc.ca/biosphere/default.asp?lang=En&amp;n=3C2E8507-1" target="_blank">Biosphere</a> is in fact a museum dedicated to the environment. 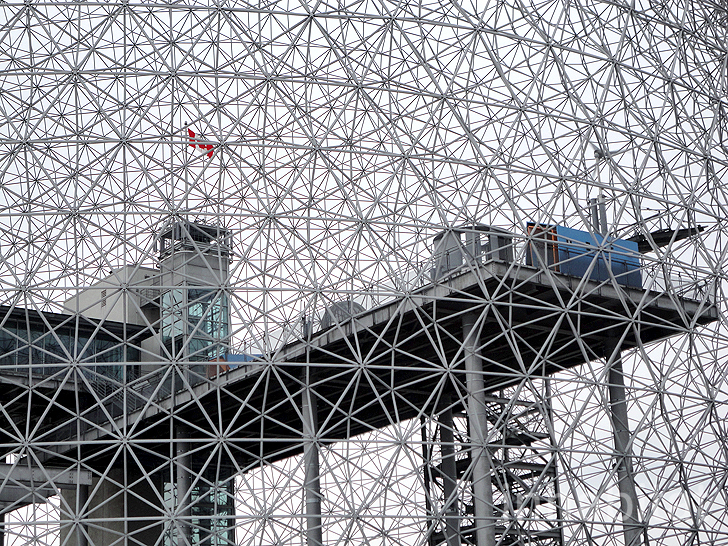 Originally built as the United States' pavilion for the <a href="https://inhabitat.com/video-buckminster-fuller-institute-announces-2010-challenge-winner/" target="_blank">1967 World Fair Expo</a>, the dome was repurposed into a museum in 1990. 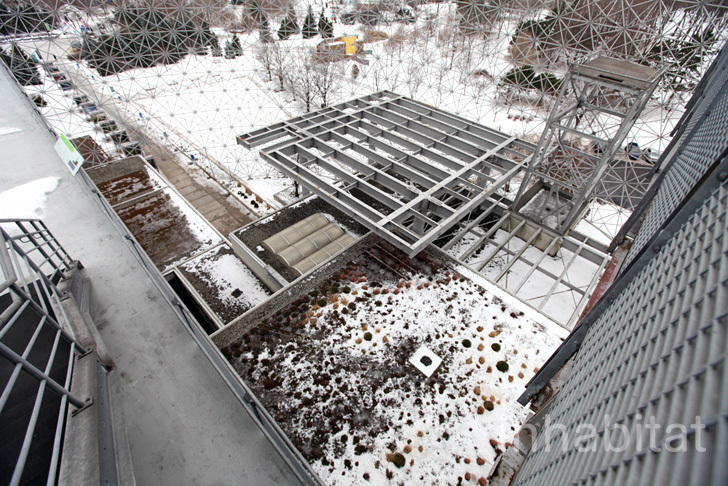 The <a href="https://inhabitat.com/lpas-explorocean-newport-beach-museum-is-draped-in-green-capped-with-solar-panels/" target="_blank">interactive museum</a> initially showcased the water ecosystem of the Great Lakes region, but has since expanded to encompasses environmental issues such as climate change, air, eco-technologies and sustainable development. 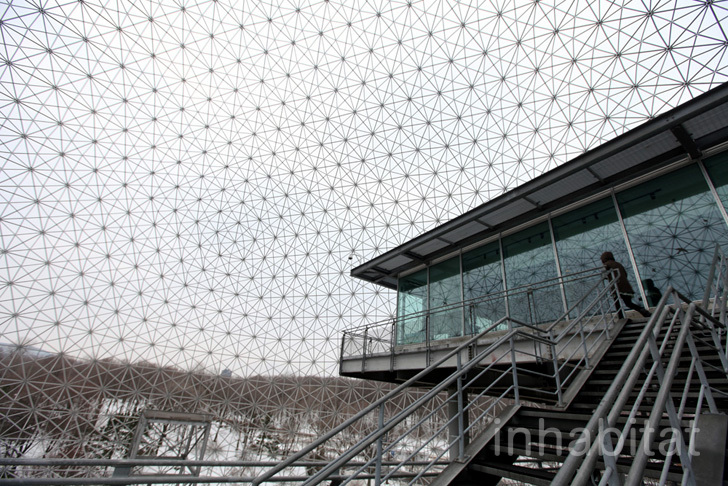 The Biosphere is one of the only museums of its kind, dedicated solely to the environment and environmental education. Each of the halls in the museum is dedicated to a series of rotating exhibitions, such as recycling, <a href="https://inhabitat.com/epa-to-provide-clean-drinking-water-to-families-near-fracking-sites-in-pennsylvania/" target="_blank">water issues of the world</a>, and even trash trackers, teaching visitors just what happens when they throw something away. 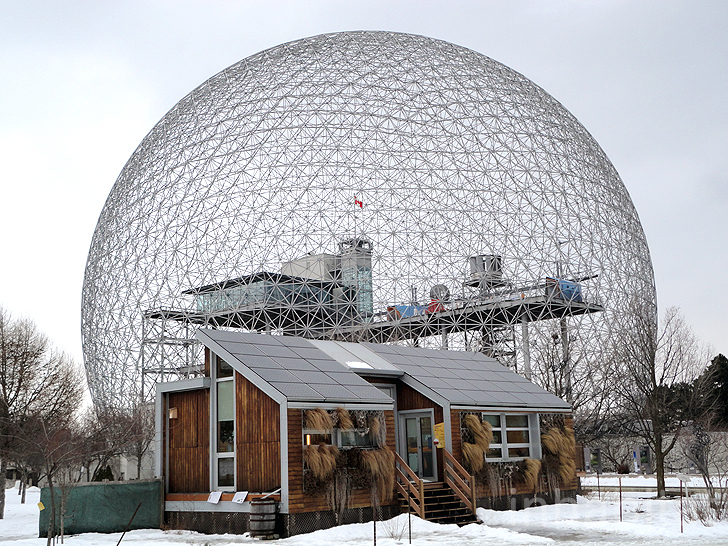 Most recently, Inhabitat visited the <a href="http://www.ecouterre.com/montreal-artists-transform-industry-garbage-into-high-end-fashions/" target="_blank">O.N.E. Fashion exhibition</a>, which featured pieces by 16 designers who upcycled consumer garbage into innovative fashions. 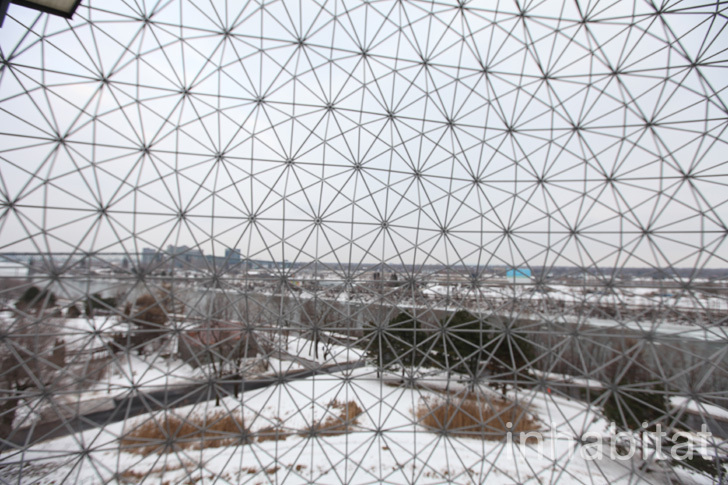 The geodesic pavilion was originally designed by <a href="https://inhabitat.com/50-year-old-buckminster-fuller-project-in-ohio-gets-a-7-million-upgrade/" target="_blank">Buckminster Fuller</a>, but several green technologies have been added since the additional buildings were constructed inside in 1995. 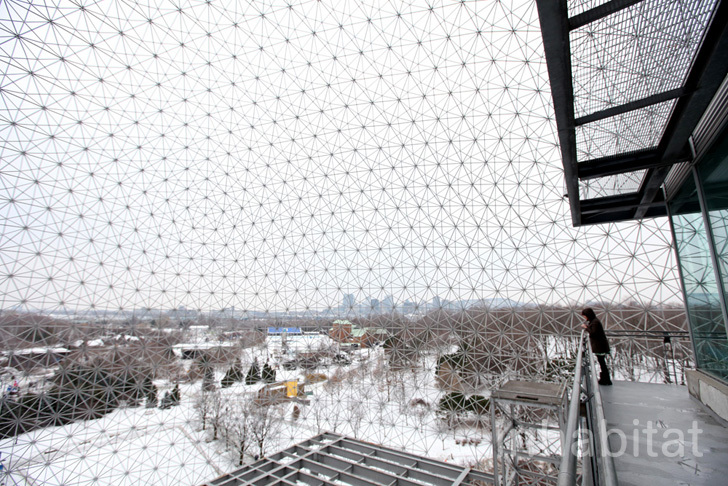 Inside of the orb, two types of wind turbines- a horizontal domestic model and a vertical commercial model- were installed to educate the public, and provide green energy. 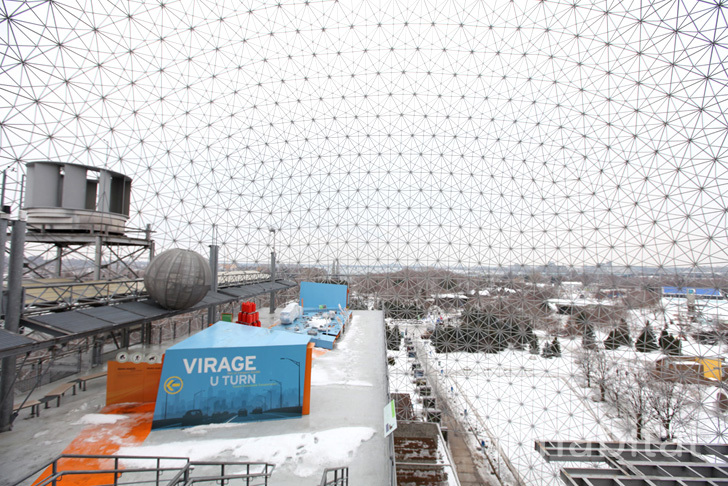 The naturally windy peak on <a href="https://inhabitat.com/montreals-snow-village-is-a-hotel-and-bar-made-entirely-from-ice/" target="_blank">St. Helen’s island</a> helps the turbines generate 18kW per day. Although Inhabitat visited in the winter, the Biosphere has a lush <a href="https://inhabitat.com/gorgeous-green-roofed-2-bar-house-springs-up-in-menlo-park-ca/" target="_blank">green roof and indoor garden</a>, which reduce energy needs for the building as well as extend the park inside the sphere. When the museum was established in 1995, a geothermic system was also installed, drawing from an open loop in the water table 90 meters below the surface. 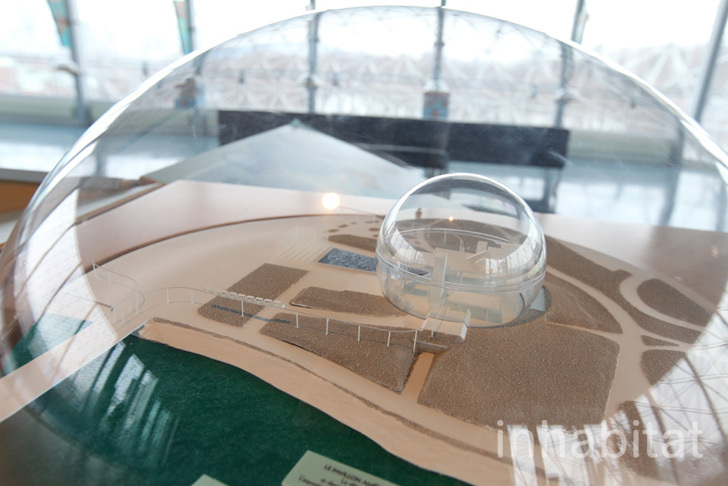 The sphere is also surrounded with a <a href="https://inhabitat.com/floating-pool-could-clean-the-water-in-pragues-vltava-river/" target="_blank">natural wastewater filtration system</a>, made up of indigenous wetland plants that treat 80% of the building’s wastewaters. 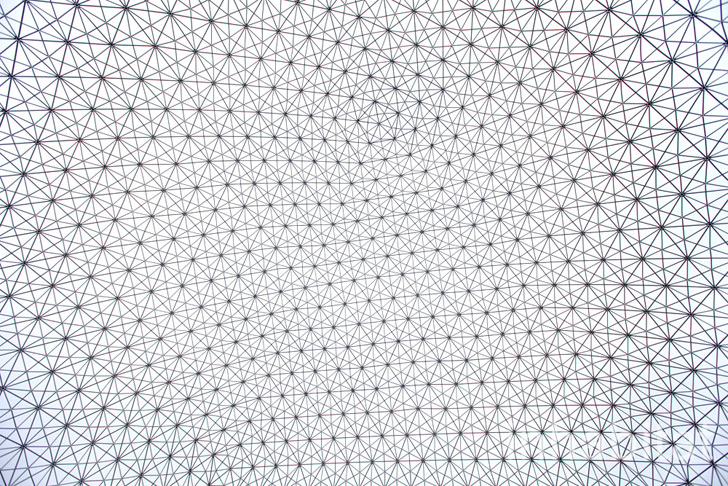 The Ecoological Solar House sits in front of the <a href="https://inhabitat.com/the-roskildes-beautiful-geodesic-dome-looks-like-a-tortoise-in-a-field/" target="_blank">geodesic sphere</a>. The self-sufficient solar powered house is a model home not for the future, but for the eco-conscious of today. Created with a minimal environmental footprint, it fuses energy efficiency with comfort. <a href="https://inhabitat.com/electric-utility-to-buy-university-of-marylands-solar-decathlon-winning-watershed-house/" target="_blank">Solar panels line the roof</a>, and it is positioned to maximize solar efficiency. 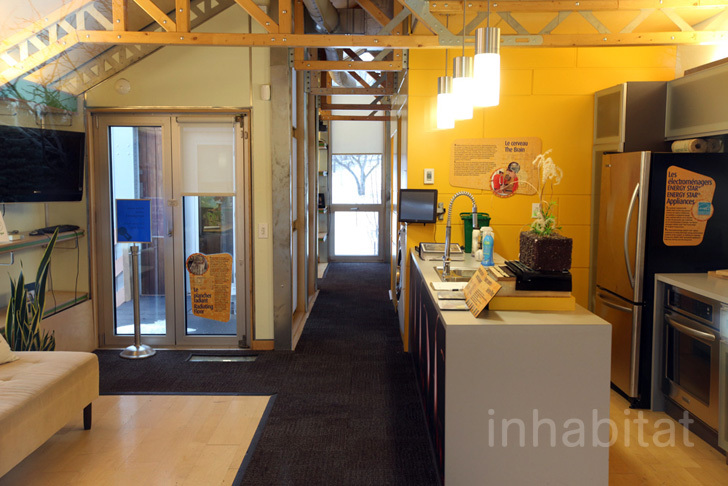 The building materials are durable yet recyclable, and sustainably sourced. Thermal solar panels heat and cool along with a radiant floor, and a green roof and wall aids in water filtration, insulation, and provide edibles for the inhabitants. 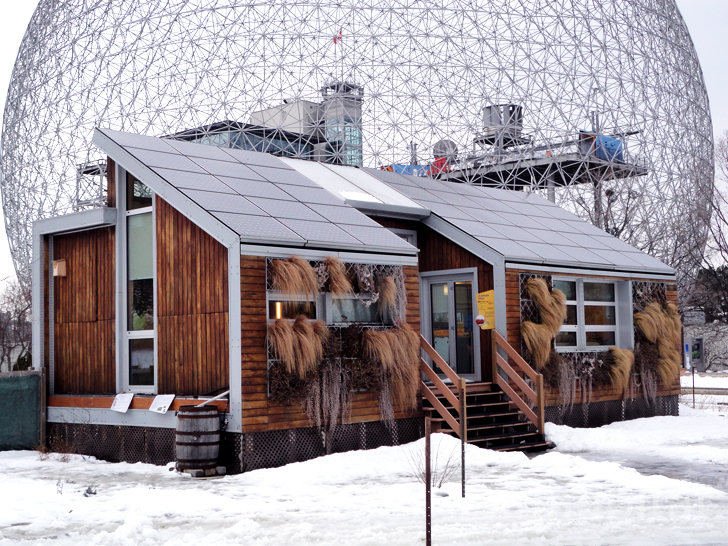 Both the Biosphere and the Ecoological <a href="https://inhabitat.com/ignatov-architects-super-efficient-solar-equinox-passivhaus-tracks-the-sun/" target="_blank">Solar House</a> teach visitors that greening their lifestyles is not only easy, but effective and necessary. 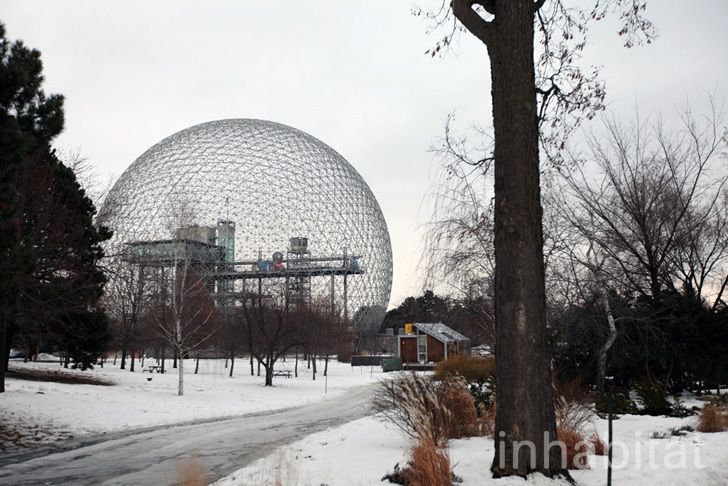 From adaptive reuse of the World Fair Pavilion to setting up an eco-house of the future, the Biosphere Environmental Museum is an icon of <a href="https://inhabitat.com/montreals-historic-fairmont-the-queen-elizabeth-hotel-grows-its-own-produce-on-an-edible-roof-garden/" target="_blank">modern environmentalism</a>. 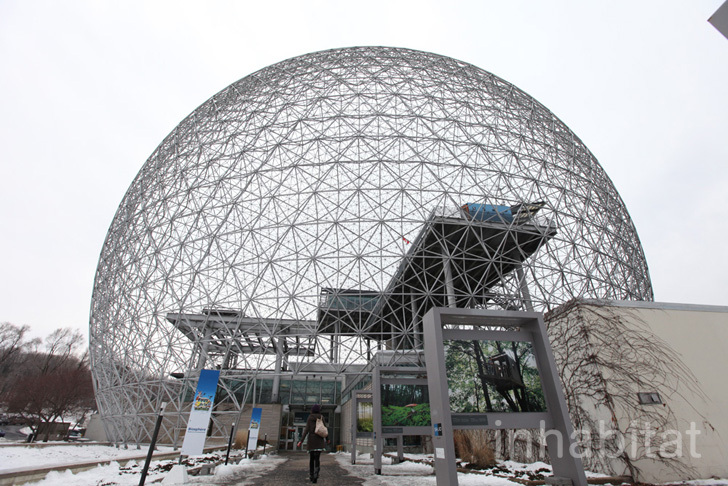 Looking much like the Epcot Center in Disney World, Montreal’s Biosphere is in fact a museum dedicated to the environment. 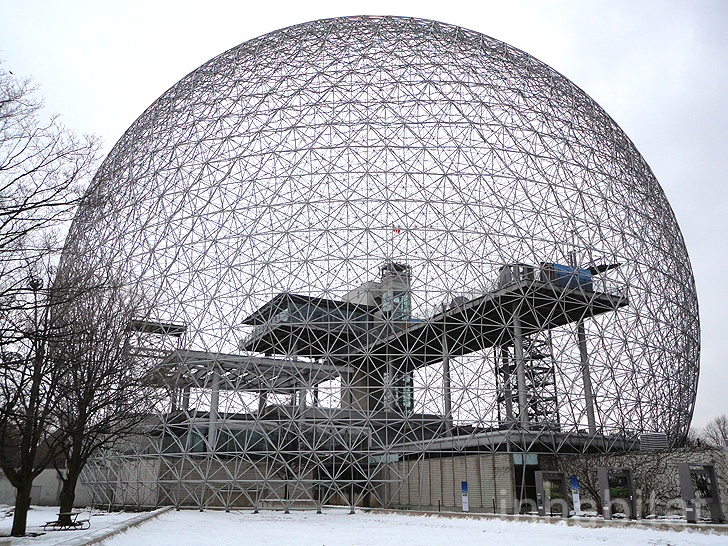 Originally built as the United States' pavilion for the 1967 World Fair Expo, the dome was repurposed into a museum in 1990. 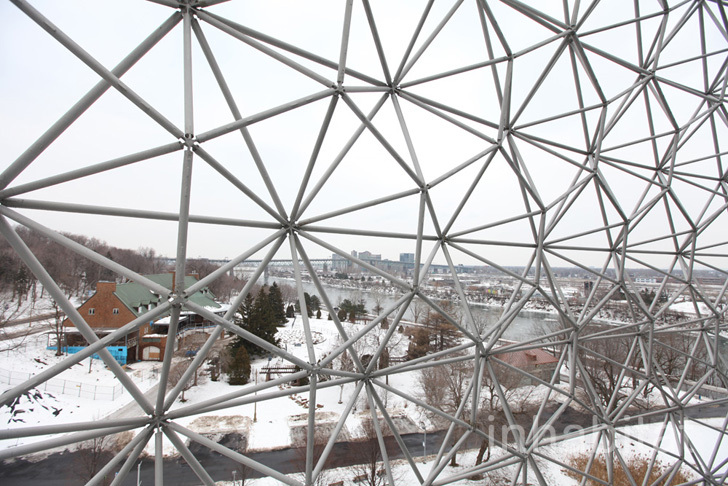 The interactive museum initially showcased the water ecosystem of the Great Lakes region, but has since expanded to encompasses environmental issues such as climate change, air, eco-technologies and sustainable development.